There was a time when there were no front cameras in smartphones. The word ‘selfie’ did not exist. But now, everyone loves to take selfies and post in on the social networking sites. In 2017 and 2018, dual rear cameras were the hot topic as it was in trend. But now, the smartphone maker has come up with the dual front camera as well which gives a clear image of yours. Dual camera setup helps in taking portrait mode with the bokeh/depth effect. Most of the smartphones either have a color+color or have a color+monochrome dual camera setup. 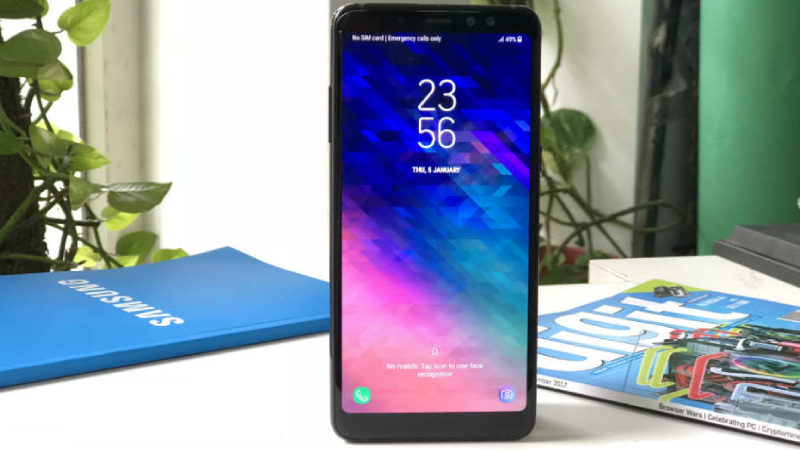 Most of the smartphones have a bezel-less display and almost everyone likes full-screen smartphone for playing games, watching videos and taking selfies. The smartphones which have dual selfie camera setup mostly comes with either 4GB or 6GB of RAM as it helps in smooth performance. The dual selfie camera setup is the plus point of the smartphone maker as people love to take a selfie and the quality too matters. 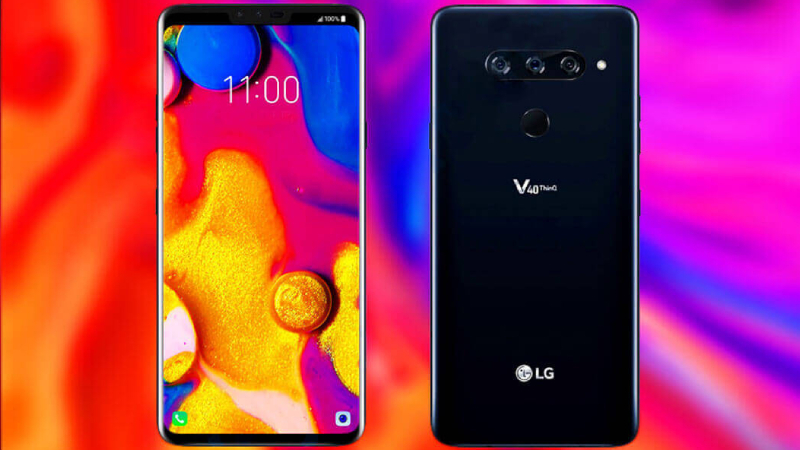 LG V40 ThinQ is the second flagship smartphone of the company after the G7 ThinQ which was launched before few months. In terms of the specifications, the LG V40 ThinQ flaunts a 6.4-inch Quad HD 1440p P-OLED panel along with a notch on top of it which can be hidden through settings. Under the hood, the smartphone carries a Qualcomm Snapdragon 845 chipset, mated with 6GB of RAM and 128GB of onboard storage which is expandable up to 512GB via a microSD card slot. It gets fuel from the 3,300mAh battery. In terms of the photography, the LG V40 ThinQ carries triple camera setup at the back which is positioned horizontally housing a 12MP color sensor, 16MP wide-angle lens and 12MP telephoto lens that does not lose the quality even after the zoom. The camera is excellent and gives high-quality photos. The company has taken special care while housing the selfie camera. At the front, the smartphone comes with a standard 8MP sensor and 5MP wide-angle lens. The selfie comes out to be good but not as expected because in low light the quality gets poor. Huawei Y9 flaunts a bigger 6.5 inch Full HD Plus display along with a glossy rear finish. 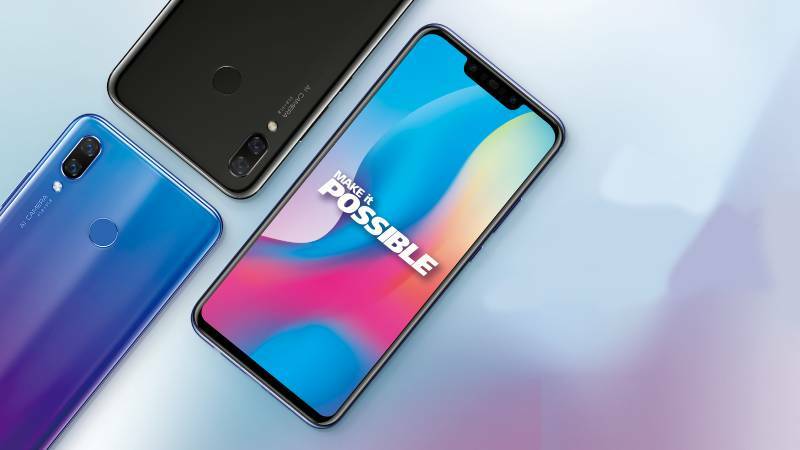 In terms of the hardware, the smartphone comes with the processor- Kirin 710 chipset mated with 4GB of RAM and 64GB of onboard memory which can further be expanded via a microSD card slot up to 400GB. 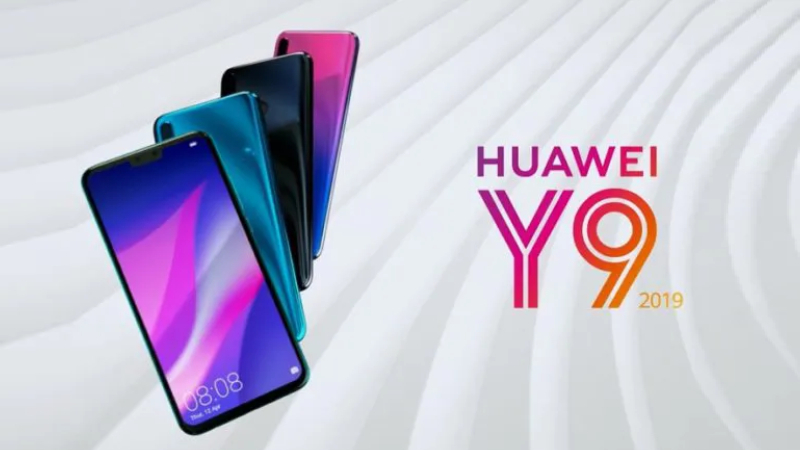 In terms of the software, the Huawei Y9 runs EMUI 8 based Android Oreo. for security, the smartphone has both fingerprint sensor as well as the face unlocking method. The device also comes with a headphone jack and packs a capacity of 4000mAh battery along with a standard 10W charger support as well as a micro USB port for charging. In terms of the optics, the Huawei Y9 is just impressive because it carries Quad AI camera setup on both the sides which includes- 16MP primary camera with an f/1.8 sensor and a 2MP depth sensor on the rear and 13MP with an f/2.0 and a 2MP depth sensor for the perfect selfie. The images shot are good and also the detailing but lacks the sharpness. The AI is used for recognizing the object and scene but saturates the color. The front camera gives a good quality of pics. Both the front and back cameras do not support the 4K or EIS(Electronic Image Stabilization). The Redmi Note 6 Pro comes with a dewdrop notch with a 6.26 inches display size. The smartphone gets the power from the Snapdragon 636 chipset mated with 4GB or 6GB of RAM and 64GB of internal storage. The handset gets fueled up by the 4000mAh battery along with the support of QC 3.0 fast charging but with 5V 2A charger. In terms of the software, the handset runs MIUI based Android 8.1 Oreo. 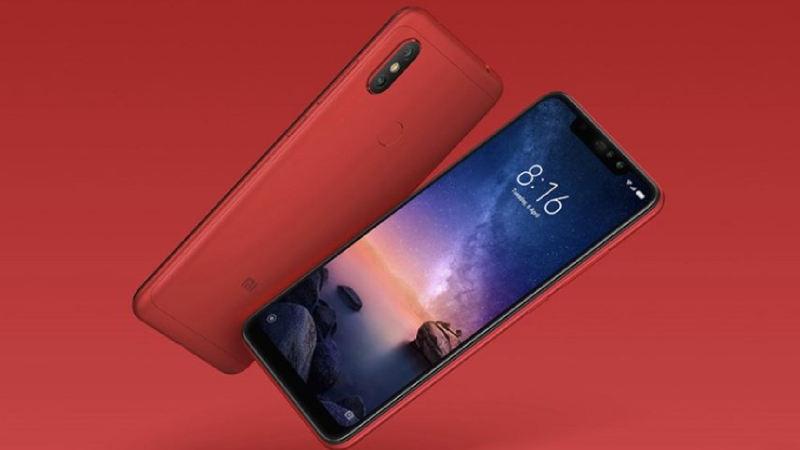 In terms of the camera, the Redmi Note 6 Pro at the back carries dual camera setup with a 12MP primary sensor and 5MP secondary sensor along with 4-micrometer pixel size and wider f/1.9 aperture for improved low-light photography experience. At the front, the smartphone flaunts a dual camera setup i.e. 20MP and 2MP depth sensor. The pics are really good and are sharp while the portrait mode on both sides is impressive with good edge detection. 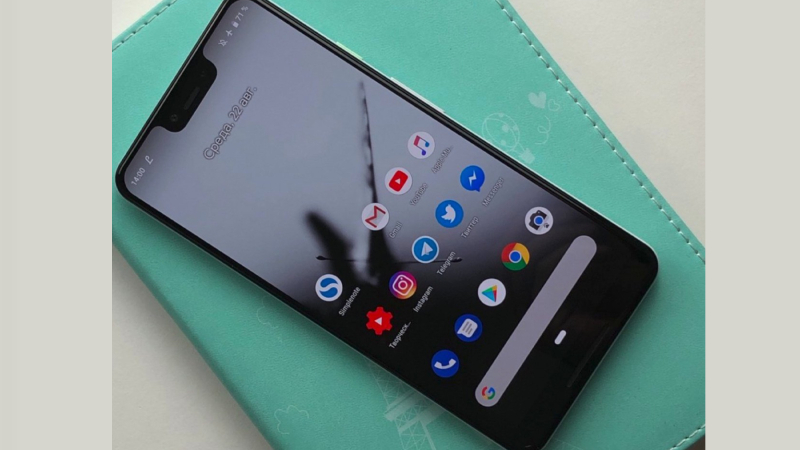 The Google Pixel 3 XL has the deepest notch till now and sports a 6.3-inch notch display with a Quad HD resolution and POLED display of Samsung. The smartphone comes with a Snapdragon 845 mated with 4GB of RAM and 64GB / 128GB internal storage options which cannot be expanded further. It holds a capacity of 3,430mAh battery along with the wireless charging feature and the 18 W fast charger. In terms of the software, the device runs on the latest Android 9.0 (Pie). For security, there is a rear fingerprint reader and also comes with the 3.5 mm headphone jack as well as the USB Type C.
In terms of the photography, the Google Pixel 3 XL at the back carries single camera i.e. 12.2MP sensor with an f/1.8 aperture. The images come out amazingly, with perfect color, sharpness and every detail. The camera works properly in all the aspects such as the bright daylight, lighting conditions, artificial light, normal light, low light or even the super low light. Because of the sharpness and quality, the portrait shots are clicked perfectly with proper edge detection. At the front, the smartphone features an 8MP wide-angle lens sensor with an f/1.8 aperture and an 8MP ultrawide-angle lens with an f/2.2 aperture. There is a beauty mode (Face retouching) as well which can be adjusted as per your look. The best selfie camera phone also features the portrait mode which is impressive as the colors are bright, the edges are sharp and the level of details is just awesome. The front camera also features a Top Shot which clicks a motion image and helps you to find the perfect frame from the clicks. The smartphone also comes with a Photo Booth feature which for clicking the photo uses your smile as a gesture. There is also an HDR+ which can be switch on or off as per your convenience. The smartphone supports OIS and EIS for best shot videos. The back camera also supports the 4K videos at 30 fps. Huawei Nova 3 flaunts a 6.3-inch Full HD+ resolution view display along with a notch on it and with an aspect ratio of 19.5:9. 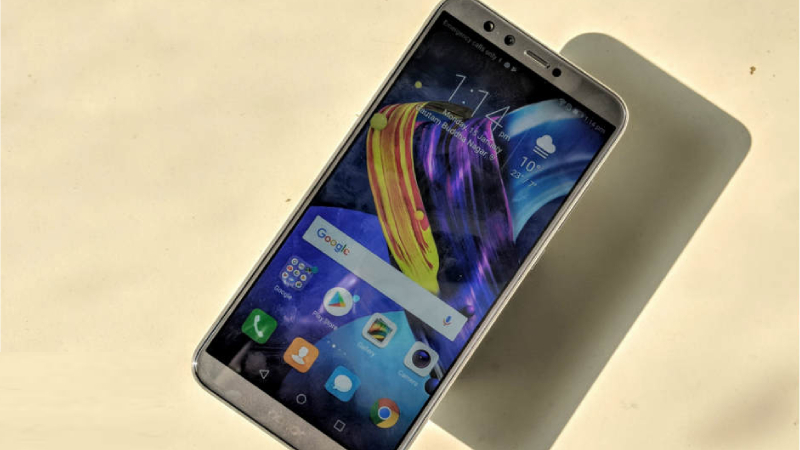 The smartphone is powered with a Kirin 970 processor coupled with 6GB of RAM and 128GB of onboard storage which can further be expanded via a MicroSD Card slot up to 256GB. Forgiving best gaming experience, the company also furnished the smartphone with GPU turbo giving the best graphics and the consumption of power is less. The handset has a capacity of 3,750mAh battery including fast charger support. It runs EMUI 8.2 based Android Oreo 8.1. The smartphone features both the rear fingerprint scanner and face unlocking mechanism for security. In terms of the optics, at the back, the Nova 3 carries dual camera setup which includes a primary 16MP sensor and a 24MP monochrome sensor both having an f/1.8 aperture. The pictures are just superb in the daylight and the AI also auto-detects the objects. The portrait shots come with proper edge detection and blurring. There is no OIS (Optical Image Stabilization) due to which the photos in the low light is not as perfect as the daylight pics. At the front, the smartphone flaunts dual sensor i.e. a 24MP primary sensor and a 2MP depth sensor. The image quality is superb with great sharpness level, proper brightness and the bokeh effects are just awesome. There is also an AI image assistant feature by which one can click an image and the Amazon assistant will give a list of similar products on Amazon. This feature can be used on any image just by touching the image by two fingers. 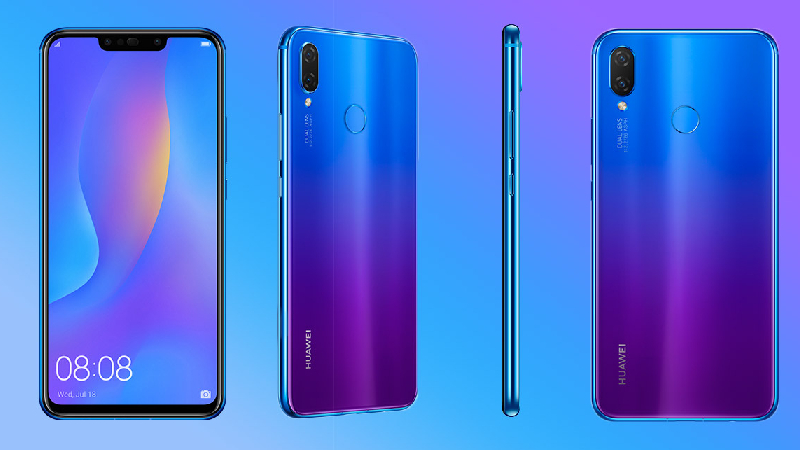 Huawei Nova 3i flaunts a large 6.3-inch full HD plus resolution view display with a rear glass design and a metal frame in between front and back. The display comes with a dewdrop notch and it has a perfect viewing angle, color reproduction along with an aspect ratio of 19.5:9. Under the hood, the Nova 3i gets the power from the Kirin 710 processor mated with 4GB of RAM and 128 GB of internal storage with an option of expanding it up to 256 GB using the hybrid micro SD card slot. The smartphone runs EMUI 8.2 built Android 8.1 Oreo. the handset supports both face and fingerprint unlock and both the support is quick and accurate. The device comes with a capacity of 3,340mAh battery along with a micro USB slot. In terms of the camera, the smartphone carries dual rear camera housing a 16MP primary sensor and 2MP depth sensor. The user can click the pics using the AI feature or without AI. it is fully up to the user. Qmoji support is also there for animating the expressions and voice. The picture quality of low light is not so good and there is no support of 4K video. At the front, the Nova 3i flaunts a 24MP and 2MP dual sensors embedded in the notch. The bokeh effect is just splendid along with the AI support. There are other features in the front camera which includes AI shopping, AI gallery and AI to directly purchase by clicking any object in the pic. Samsung Galaxy A8 Plus sports a 6-inch Full HD+ Super AMOLED display with an aspect ratio of 18:9. The smartphone gets the power from the Octa-core Exynos 7885 mated with 6GB of RAM and 64GB of internal storage along with a microSD card slot for expansion. The dual SIM smartphone features a fingerprint scanner at the back for security. The phone gets the power from the 3,500mAh battery and also supports fast charging (9V 1.6A or 5V 2A). In terms of the optics, the Samsung Galaxy A8 Plus at the back carries a single camera i.e. a 16MP with an f/1.7 aperture. 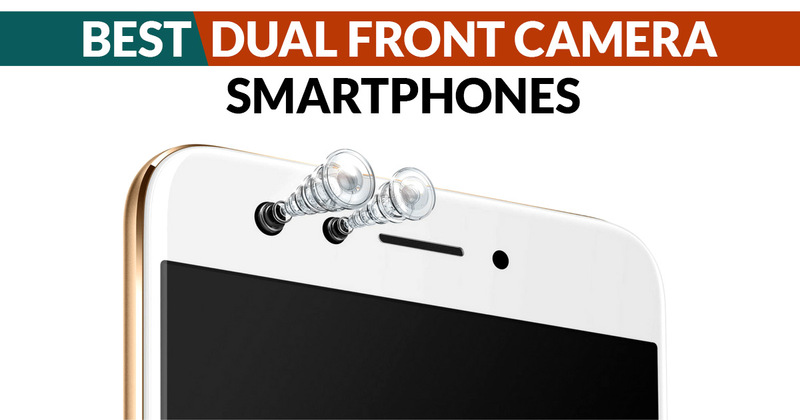 While at the front, the smartphone flaunts a dual camera setup i.e. 16MP and 8MP. By this, we can say that the company’s main aim is to improve the front camera instead of the rear camera. The back camera clicks the snaps really good in the outdoor lighting conditions giving sharp and good color. While in the artificial lighting conditions, the camera lacks behind because there is no OIS due to which the images are blurry. There is no 4K video support which disappoints everyone. On the other hand, the front dual camera setup features bokeh effects and is impressive as there is live focus due to which one can manage the blur of the background. The Honor 9 Lite sports a 5.65-inch full view display with Full HD+ resolution covered with 2.5D glass along with small bezels and an aspect ratio is 18:9. The smartphone gets strength from the 2.36 GHz Octa-Core Kirin 659 processor mated with 3GB/4GB of RAM and 32GB/64GB of internal memory which is expandable via a MicroSD card slot up to 256GB. The dual hybrid SIM smartphone runs EMUI 8 based Android 8 Oreo. For security, the phone supports a rear fingerprint scanner. It comes loaded with 3,000mAH battery with the support of 5V 2Amp charger. In terms of the photography, the Honor 9 Lite comes with best camera setup on both sides. At the front as well as back the smartphone carries the same sensors of dual camera setup that houses 13MP + 2MP sensor. The dual camera setup adds extra effects to the pictures and comes with an RGB and a monochrome camera sensor. The bokeh effect is just superb on both the cameras and the pictures are sharp as well as impressive. In the low light conditions, the camera is not so impressive. The smartphone also comes with the feature in which one can blur the image even after clicking it. The Honor 9i features a 5.9-inch full view display with Full HD+ resolution display covered with 2.5D glass along with an aspect ratio of 18:9. The smartphone carries the 2.36 GHz Octa-Core Kirin 659 processor mated with 4GB of RAM and 64GB of internal memory which with a dedicated MicroSD card slot can be expandable up to 256GB. The dual hybrid SIM card slot smartphone for security comes with a fingerprint reader at the back. The smartphone runs EMUI 5.1 based Android 7.0 Nougat. The handset packs a capacity of 3,340mAH battery. In terms of the photography, the Honor 9i carries a dual rear camera housing 16MP primary sensor and 2MP secondary sensor. While at the front, the smartphone carries a dual camera setup carrying 13MP and 2MP sensors. The dual camera setup adds extra effects to the snapped photos and comes with an RGB as well as a monochrome camera sensor. The bokeh effect is impressive on both the cameras and the pictures captured are sharp and perfect. In the low light conditions, the camera is not so good as the picture quality is not up to the expectations. The smartphone also comes with a feature in which an image can be blurred even after clicking it. 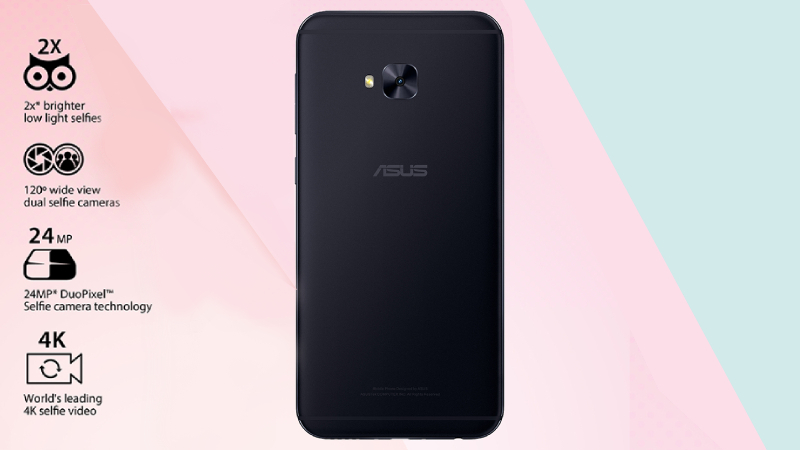 The Asus Zenfone 4 comes with a 720p IPS HD display and disappoints us as there is no full HD. Under the hood, the smartphone gets the power from the Snapdragon 430 mated with 4GB of RAM with 64GB of internal storage which is expandable. The smartphone carries a capacity of 3,000mAh battery with the support of fast charging. It comes with triple card slot which contains 2 SIM card slot and one microSD card slot. The smartphone in terms of optics is impressive. At the back, there is a single 16MP camera along with a flash. While at the front, the smartphone flaunts dual camera setup which houses a 20MP sensor and an 8MP sensor that gives a depth effect and wide-angle view to the selfies. The front camera also comes with a portrait mode by which one can blur the background. Along with two sensors, the front camera also has a flash for low light selfies. The portrait mode is good but not so impressive because it does not sharp the edges. Overall the camera is good and impressive for selfie lovers.